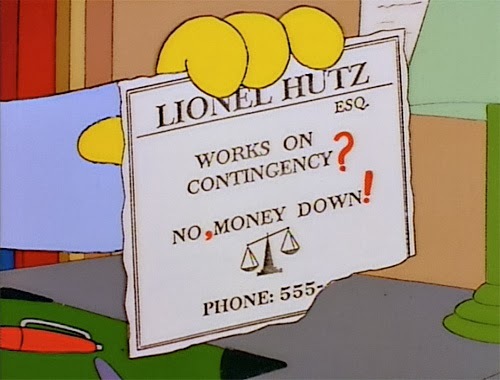 And I managed to grab this super secret security camera screen grab of the FOX lawyers putting the kibosh on the whole operation: Now, of course, this is all hearsay and conjecture, which (as we know) are kinds of evidence, right Lionel? 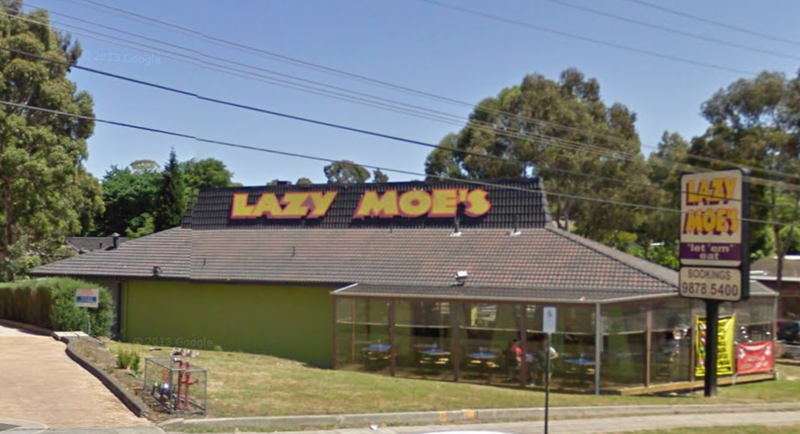 So we don't (and probably won't) ever know the real backstory behind the name "Lazy Moe's," but we do know the backstory of the building itself, and, in case the suspense is killing you, this place used to be a Pizza Hut. Screened-in deck or chicken coop? You be the judge. Either way, I want to buy food and libations form a self-proclaimed lazy restauranteur, because we all know that they won't be cutting any corners when it comes to food quality and safety.Thanks to David for the submission.